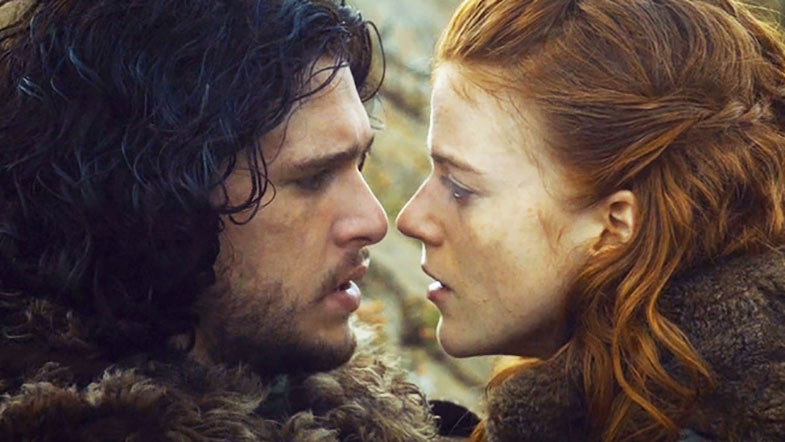 Jon Snow and Ygritte were famously, deliciously together in season 4 of Game of Thrones, but Kit Harington and Rose Leslie have been together (on and off) off screen since 2012. Sophie Turner, you absolute minx. I don’t even know what to say, other than good for you and I’m jealous. Maisie Williams met boyfriend Olly Jackson in school, and the two are still adorably, adorably together. You’ve got to be as hot as Lisa Bonet to date someone as hot as Jason Momoa, and wouldn’t you know it, the pair has been married since 2007. Peter Dinklage and wife Erica Schmidt married in 2005 and are currently expecting their second child. Married in 2005, Iain Glen and wife Charlotte Emmerson have two children together. Jacob Anderson has been dating British actress Aisling Loftus for over five years, and the pair are each other’s biggest supporters. Anderson’s found success both on screen and on stage as a rapper, (stage name Raleigh Ritchie), and Loftus has most recently been cast in the War & Peace miniseries on BBC. Giles Deacon is a fashion designer, specializing in couture dresses that are as architectural as they are beautiful. The same could be said about Christie, who often wears her partner’s designs. Aidan Gillen and musician girlfriend Camille O’Sullivan have been together since 2015, after revealing their relationship to the public at a U2 concert. Nikolaj, oh Nikolaj. Jamie Lannister’s real-life-wife is a former Miss Greenland. The statuesque pair married in 1998 and have two children. The Red Priestess, who is not so red in real life, has a child with actor Guy Pearce. The pair, who are unmarried but very much in love, have been together since 2015. I can’t tell you how happy it makes me to see my favorite ginger married to an equally as beautiful red-headed woman. The pair have been married since 2015 and unfortunately do not have any adorable orange children together.